Birthdays mean a lot to me, even when it isn't mine. 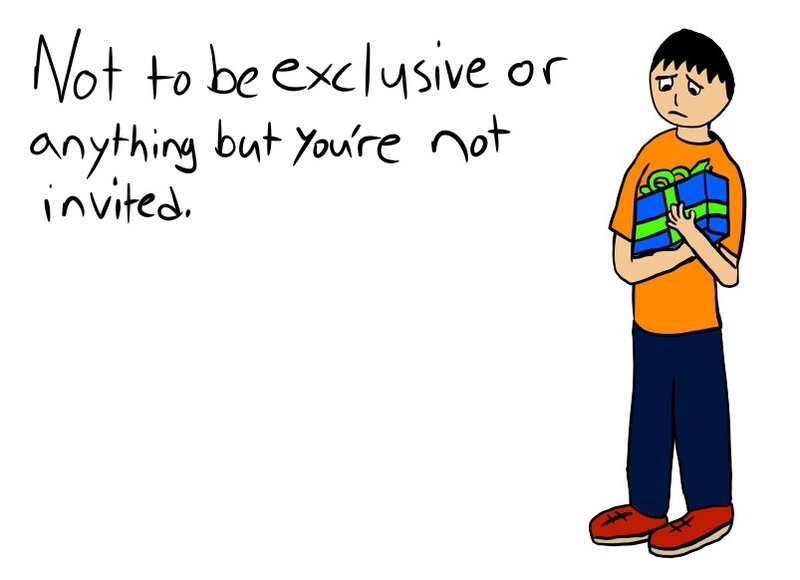 I like to celebrate special occasions and giving presents and enjoying a good time with friends. It's apparently a very juvenile way of celebrating these days. Once everyone goes in their separate directions to college, its near impossible to hang out with friends anymore, and usually people go off and make new friends. This was the case for me too, I made new friends however once school was over and real life started, we all separated again, everyone went back to their hometowns, far away. I keep in touch with most people, but we are far apart, and its costly to travel and hang out. My friends would have parties with all of their new friends, I'd ask to come along and take part and if I was not flat out ignored, it would be the uncomfortable situation of them having to tell me there wasn't room or I wasn't invited. I find it ridiculously strange how so many people who use FA have so many real life social insecurities, or the inability to be with friends. The thing is, I am not like that, I am very much a people person, and I have real life friends, the only issues is as I said, is that they all live and work far away, and I happened to be the first one to finish school, so while they also balance work, school, pets, and relationships, there isn't much room or time for out of town friends. That's one reason why I Skype so much, there's no one around in life, so I have my online buddies.